Poppies Wave at Fort Nelson Museum on Portsdown Hill, Portsmouth in June 2018. Image copyright Anne Grant. June 24th is Midsummer’s Day. 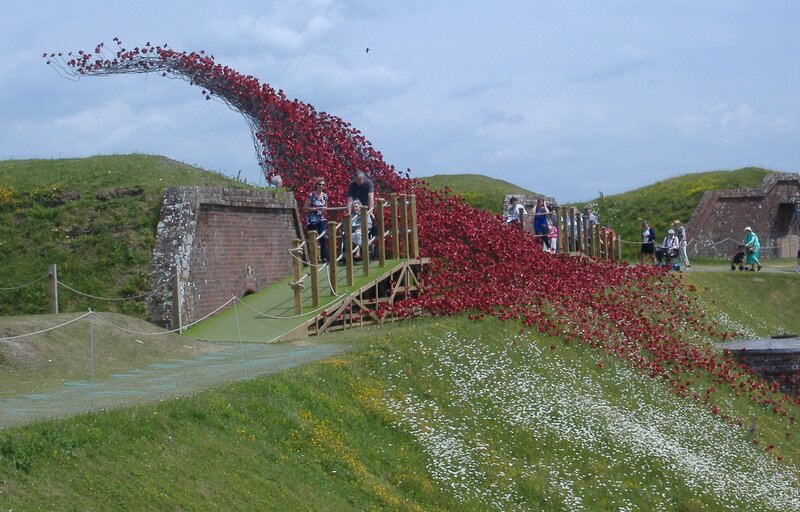 It is also the last day to see the ceramic Poppies installation called ‘Wave’ at Fort Nelson, Portsmouth. 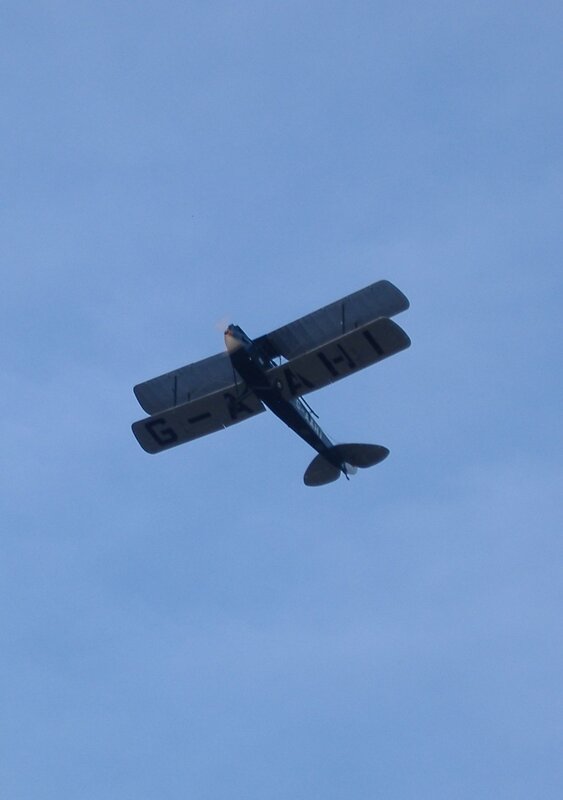 After this date it will be dismantled and taken to Manchester to the Imperial War Museum (North). 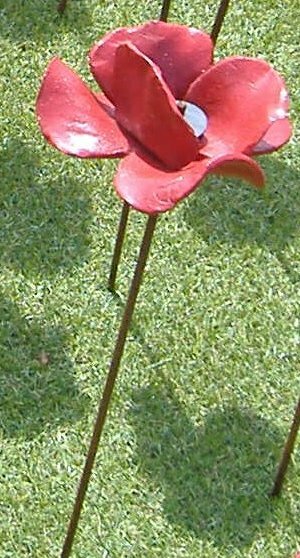 There it will be reassembled for display until November 2018 – the close of the 1914-1918 First World War commemorations. 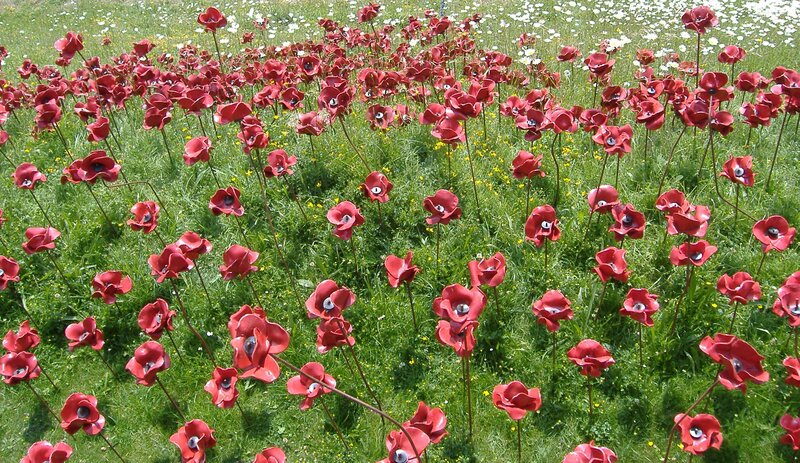 The Poppies Wave at the Royal Armouries Museum on Portsdown Hill has been very well attended since it opened in April. 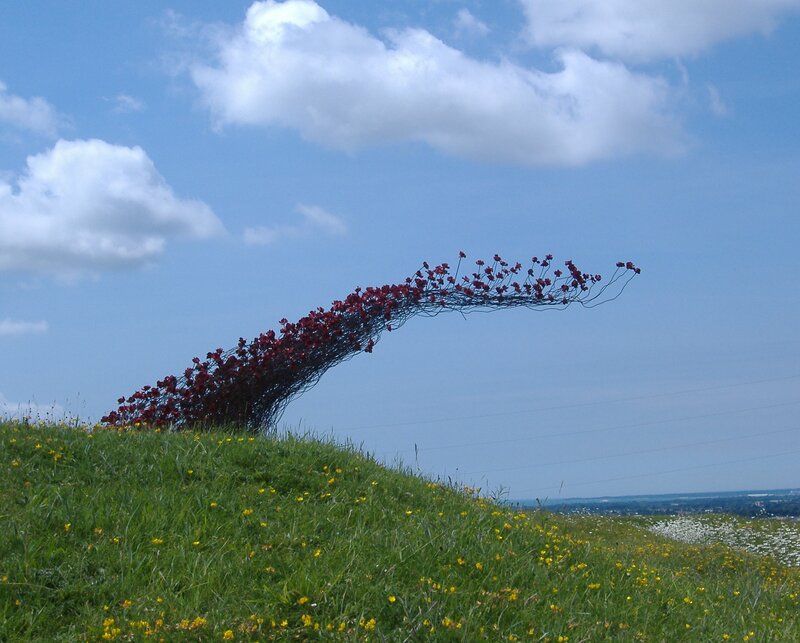 Small part of the Poppies Wave installation at Fort Nelson. Image copyright Anne Grant. 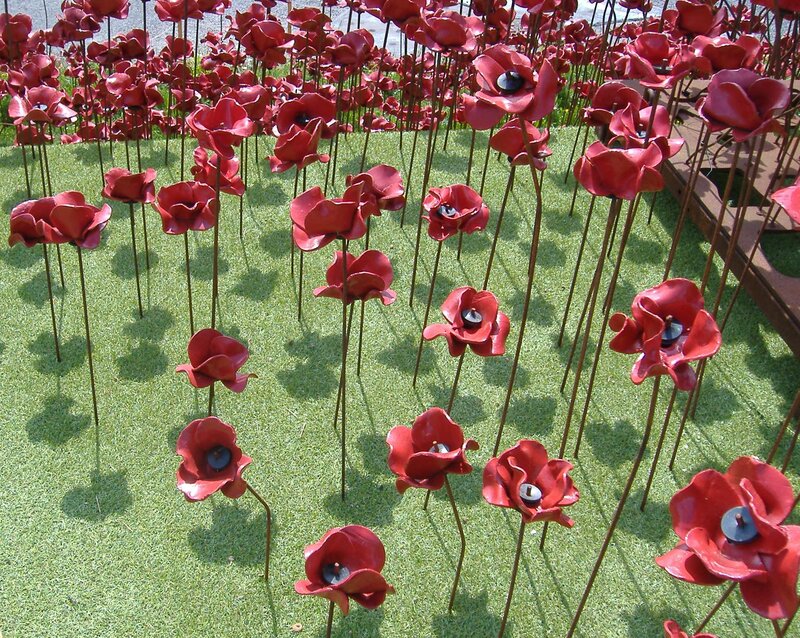 Over 5,800 poppies comprise the display. The whole ‘Wave’ took eight days to recreate on the slopes of the old Palmerston fort. 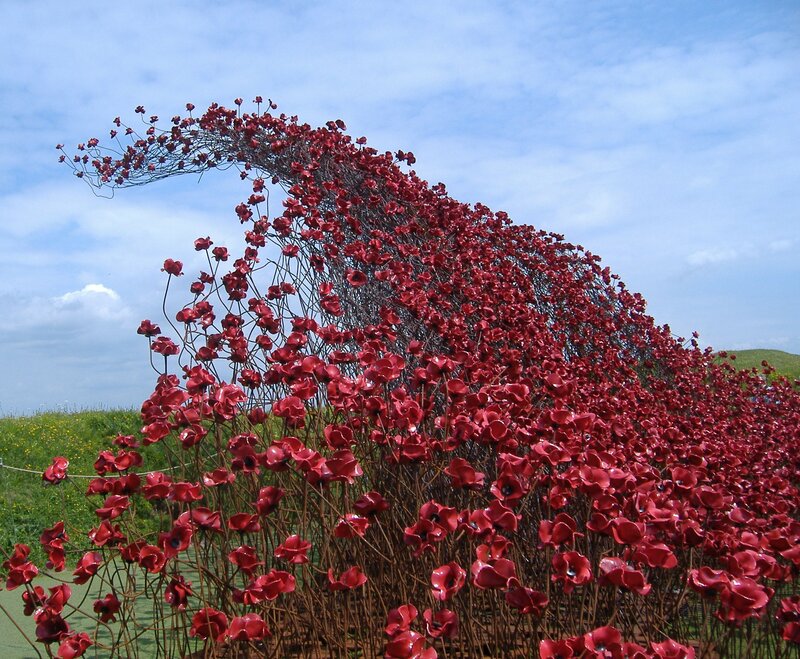 The ‘Wave’ has been saved for the nation by the Clore Duffield Foundation. 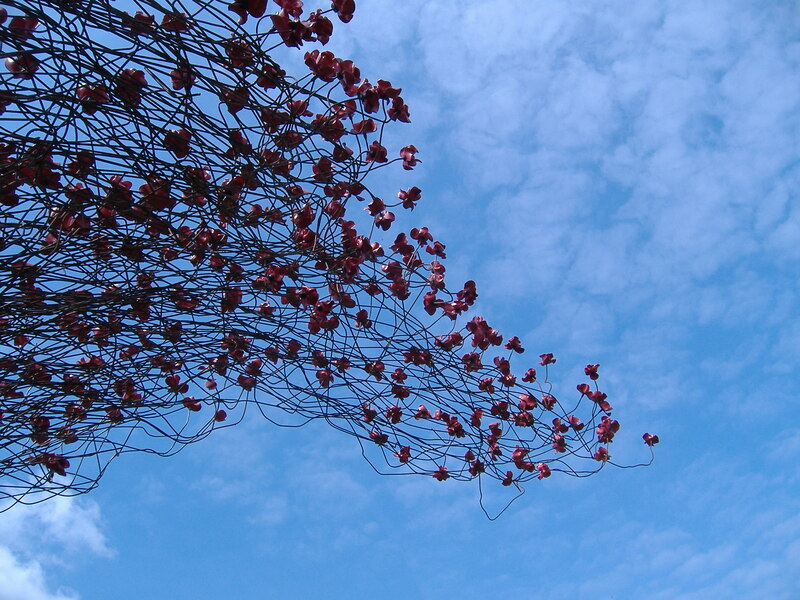 The other major installation called ‘Weeping Window’, which was also part of the magnificent Tower of London Poppies exhibition in 2014, has been purchased by a charity too. It will be donated to the nation by Lady Sainsbury of the Backstage Trust. This will go to the Imperial War Museum in London. The poignancy of the poppies artwork was perfectly summed up by one young person who visited Fort Nelson. Those men and women are now shadows on the land but never in the shadows of our memories. Lest we forget. Image copyright Anne Grant. One such man was Frederick William Attrill of the Isle of Wight. He was a sacrificial lamb on the alter of political stupidity. It is hard to believe but true that one influential politician in 1914 refused to endorse compulsory vaccination of the troops against typhoid. In his rarefied, sanitised bubble of a world, he insisted that all that was required to combat the disease was clean water and good hygiene. He outshouted other common sense politicians who knew better than him. Thousands of troops died of the illness until eventually the Army ‘top brass’ stepped in and overruled the politicians. They began to inoculate the soldiers. It was too late for Corporal Shoeing Smith Attrill. He had died some months earlier. Rest in peace Great Uncle Fred.